« StrollerBlanketMom Review & Weekend Giveaway! I’m back from our 7 day camping trip with the family and it was a blast….crazy at times with the 4 young kiddos in close quarters, but we made it through with lots of great memories. We went to a church family camp down at Lake Williamson in Carlinville, IL (4 nights) and Clinton Lake State Park in Clinton, Il (2 nights). At times during the trip, we had some behavior issues with the girls. 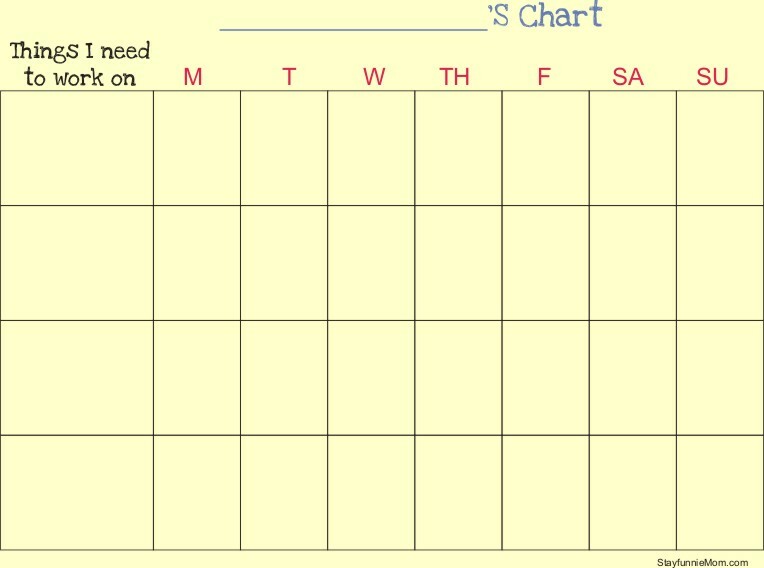 You know how it goes…one child pokes another and they get annoyed and pokes back…..SO, I decided to make some behavoir charts (wish I would have done that earlier in the trip). I cut the map of the state park in three sections and used the blank side for the chart and electrical tape to stick it on a cabinet in the camper. 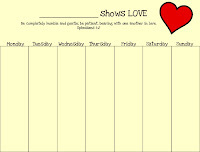 I called it a “Show Love” chart. 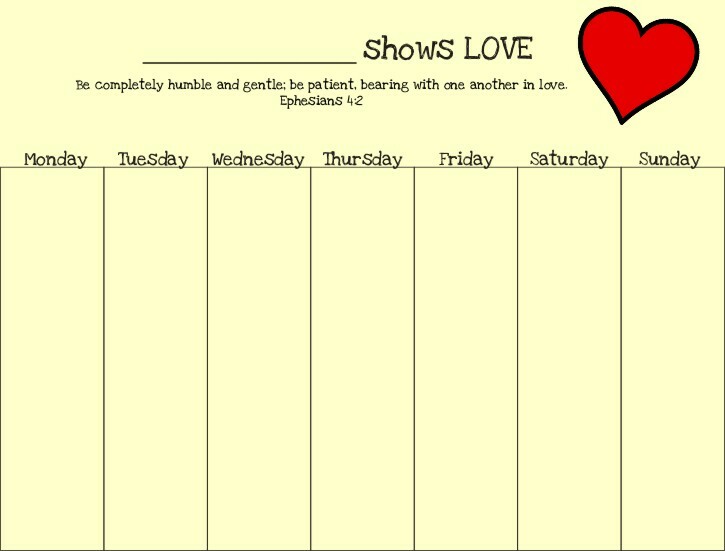 If we caught them showing love, I would draw a heart on their chart. If they weren’t showing love, I would draw a frowny face. If they received more hearts than frownies, they could get a special ice cream treat at the end of the day. Well, it worked….they sure did want those hearts! I decided to make up some computer generated charts last night. 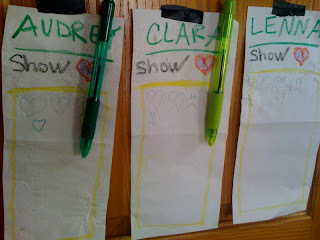 One is a “Show Love” chart and the other is a “What I Need to Work On” chart (potty, pick up toys, sharing, and so on.) Click on the links and feel free to use them how you wish with stickers, smileys, etc…. (write your child’s name at the top).